After a day on Iona, what could be more special than succumbing to the delights of Ninth Wave? 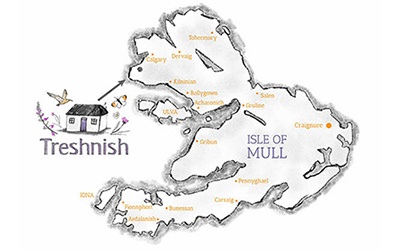 Spend the day on Iona and eat at Ninth Wave on your way back to Treshnish! Ninth Wave is conveniently situated just outside Fionnphort, about a 2 hour drive from Treshnish. Chef Carla Lamont hails from Canada and settled here having met her fisherman husband John in Fionnphort. Together they built their dream and run this award winning restaurant. Small but wonderfully formed – seating about 20. It only serves dinner and when you see and taste the amount of work that goes into crafting their delicious menus you can see why. Ninth Wave celebrate the wealth of island produce available here. John catches the shellfish daily – there are not many places where you sit down to eat lobster brought to you by the kilted fisherman who caught it for you. We have been married for 30 years. Celebrated our 10th anniversary on a Bhutanese hillside in a tent. Our 25th anniversary we went back to the hotel where we spent our wedding night, just outside Oban. We weren’t sure what to do for the 30th! However having never been to dinner at Ninth Wave, it seemed a perfect excuse to indulge ourselves. It is a long way, but it is a beautiful journey. 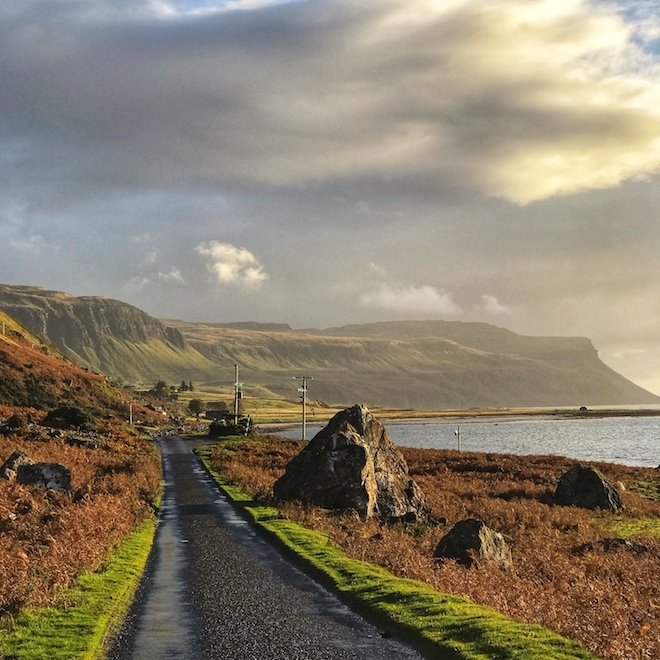 The drive down the west coast of the island is stunning, and we enjoyed the rich autumn sunlight along the way. We’d intended to leave early enough to walk on one of the Ross of Mull beaches beforehand, but we had too many chores, so just enjoyed the drive. 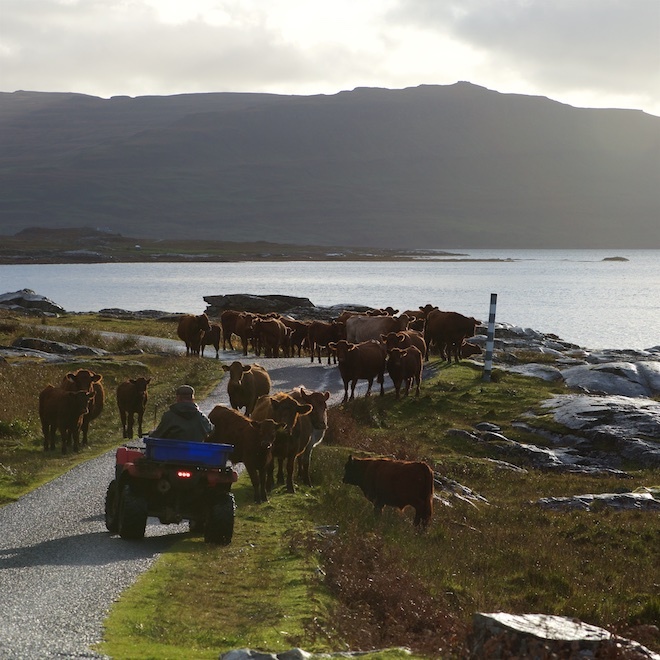 We have seen Otters before along Loch na Keal – no luck on this drive, though we did come across some beautiful cows! On arrival we were warmly welcomed and there was an anniversary card and some of Ninth Wave’s amazing handmade chocolates on the table to welcome us. We enjoyed every stage of the 4 course menu. 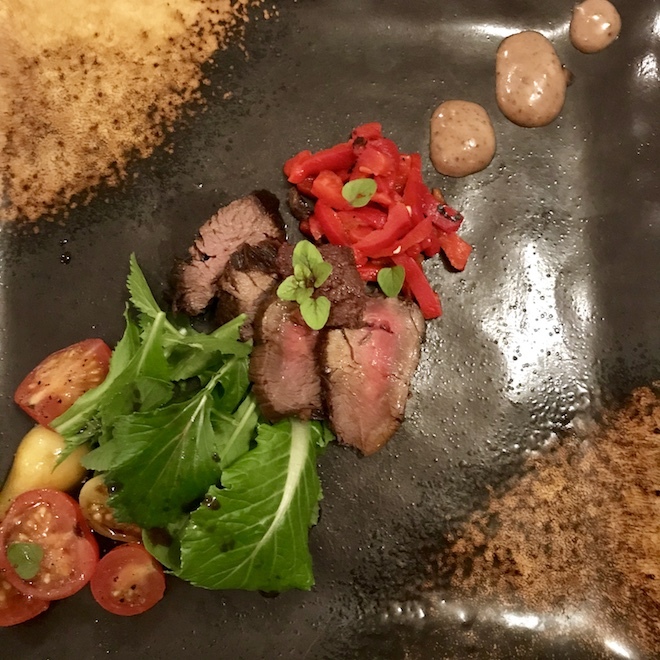 I am gluten free and had my own menu, some of the same dishes as the main menu. That in itself is an award winner for me! Chosing different things on each course meant we shared a spoon or forkfull and savoured the flavours! 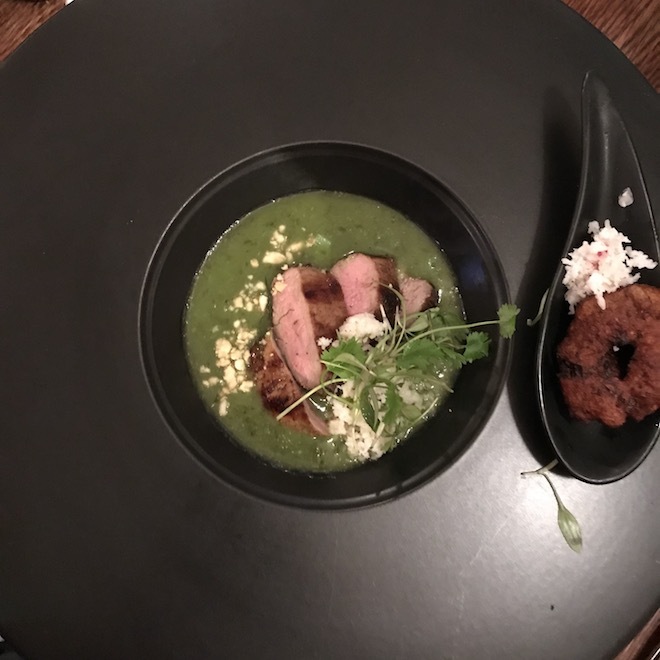 The highlight to me I think was my starter – duck breast in a Thai green curry, just exquisite! Somerset especially loved his smoked haddock with a deep smoky flavour. Carla’s dishes were all beautifully presented. They tasted every bit as good as they looked. We were wonderfully welcomed and looked after. Thank you Carla and John. We had an easy drive home via Craignure. The journey sped past and I think in all we met 2 cars. We watched out for deer as they crossed the road in front of us, avoided the various hedgehogs and rabbits out. We gazed at the moon sitting back on itself against the side of Ben Talla. The stars were out when we got home. What a romantic end to a lovely evening.